The cover illustration, Strawberry Delight, is a painting by Alice Gatewood-Waddell that is part of the collection at Western Kentucky University (WKU). 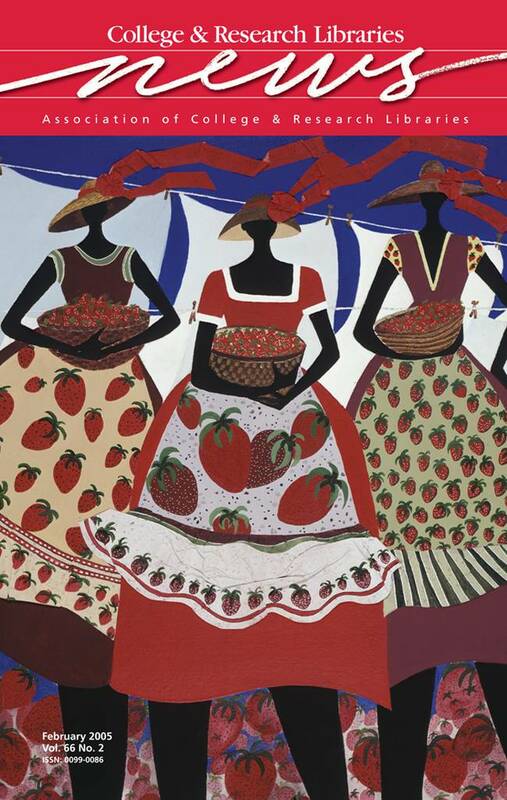 The colorful painting, which features three African American women standing in a strawberry patch holding baskets of the fruit, hangs in the university’s Helms-Cravens Library. The artist is a native of Bowling Green, Kentucky and a graduate of WKU. Since 1992, WKU Libraries has had a University Libraries Fine Arts Commission charged with the task of recommending purchases of original works of art from WKU faculty and students. The works are displayed throughout the library.